I have been having this issue for years and I found the final solution just yesterday! So I thought I would post it here and hopefully help out thousands of other people like me. Before I explain the solution let me describe the problem in detail. For some unknown reason, I have always had this problem on my main computer with Internet Explorer 9: whenever I want to run it, a blank window appears for 0.1 second then closes instantly, without any error message or anything. The solutions I describe are valid for Internet Explorer 7 (IE7), Internet Explorer 8 (IE8) and Internet Explorer 9 (IE9). I am running Windows 7 but the solutions also work for Windows Vista and Windows XP. There are three solutions here, among which two are the official solutions proposed by Microsoft. Let me tell you right off - Microsoft's solutions had no effect, so you might want to skip to the last one immediately. Read on for a detailed description of each of these three solutions. The problem is perfectly described on a support page entitled "Internet Explorer opens, flashes, and then closes immediately when you start it". That's exactly what happens here, except their solutions had no effect for me. Maybe you'll be luckier than I was? 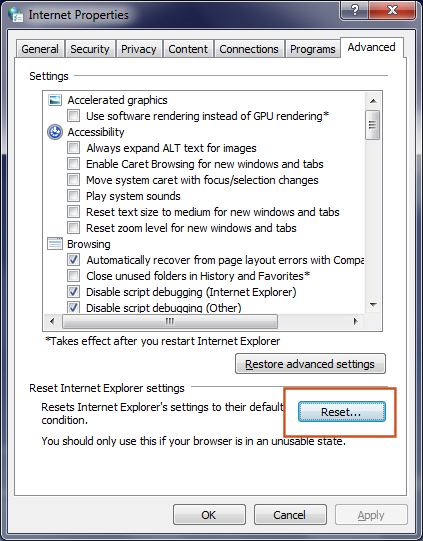 4) Make sure the "Delete personal settings" box is ticked and press OK.
5) Try running IE again and see if that fixed it. If that didn't help, you can try their second recommendation, which is basically to uninstall and reinstall Internet Explorer. The process is simple and there is actually no installer to run. Reinstalling: do the exact same, except you tick the box. If you have an older version of Internet Explorer, I recommend downloading Internet Explorer 9 (offline installer, not one of those stupid web installers that always fail). Solution 3 by Kai Schätzl - the ultimate fix! Once you have that downloaded, extract the ZIP archive, you will find a .cmd file (command-line batch file). It contains instructions that will repair your system and allow Internet Explorer to finally work again. DISREGARD the filename: it's called "IE8" but it works with IE7, IE8 and IE9. To run it, right-click the file and click "Run as administrator". After it finishes running, start Internet Explorer and voila! You can now use the world's worst web browser again. Download Google Chrome now! Worked great after nothing from Microsoft worked. Didn't work for me IE64 version 8. I can`t believe this worked! I tried everything and I believe my issue was because I have a sata drive and another drive separating ie and the OS. Anyway... I didn`t believe this would work, yet it did. Thanks a lot! I tried all the Microsoft fixes and nothing worked. Thanks for pointing out Option 3, you saved me some time. I used Option 1 and it worked a treat. Fantastic, I have been trying to solve this for many many months. Brillant journal, thank you so much for this help and taking the time to publish this. Recently I had some pretty bad virus's that changed many things with my start up, programs, and applications such as IE8. After neither of the microsoft tricks worked, option 3 worked as described. Within about 1 minute IE8 was back up and running on my WIN Xp computer. WOW. Could not have been an easier, faster, or more perfect solution. Awesome. Thank you, thank you, thank you! return the favor.I am attempting to find things to enhance my website! Worked great. ie8 on win xp. thank you! I solved this by doing a system restore on a date that everything worked. Still nothing worked for me. I have to get IE working. I need some paperwork from a court house and all they use is IE. Once I get all that done I am going back to Chrome. I have been working on this for months. None of these 3 options worked. Windows 7 64-bit. Neither IE8 or IE9 work. ^ to the above. Did you try the right fix for your 64-bit system? If you are using IE 32 bits under Windows 64 bits, you need this one. Try these, it really won't hurt your system. all it does basically is (re)register some DLLs who are required by Internet Explorer. Why didn't I see your site before??? I tried Option 1 first, and it worked. But when I closed the explorer and reopened it, it closes immediately again. Basically, I was able to successfully launch the browser in my every other attempt. I guess I just have to be happy with that. Haha wow, this is really weird. I can't believe IE is so dodgy. At least we should be getting some kind of error message. What are the developers thinking? Went right to option 3 after trying a bunch of suggested "fixes" from Microsoft the day before. Worked great! How do I download the script for option three if IE doesn't work? This is the only thing that worked (solution 3). Option 3 worked, for one time. Then I opened a shortcut to a website and started doing the flash thing again.???? Thanks for finding this automated script that re-registers .dll files etc. to return IE to its original functionality - very much appreciated!!! Fantastic! I've spent days running around in circles trying to get IE8 running again, this did it in a few minutes! I have a 32-bit xp machine and had tried almost everything before this with no success. Trying to uninstall ie8, couldn't; trying to uninstall sp3, couldn't; registry changes; no-add-in start up; safe mode; etc. This fixed everything in 1 minute. THANKS, Fantastic!!! Hi, this cmd in option 3 worked! Thanks very much for this fix, now ie8 on win XP is working properly again! Best wishes! Grr... none of this worked for me. Even option 3, and I tried all 3 downloads. I have Win7 64 and IE9 32. I don't know why that is, but I disabled IE a LONG time ago, now that I need it even when I enable it it just opens for a second and closes. I think it may be time to reinstall my Win7. So every time I click one of your links, it takes me to some movie downloader. Wtf? I'm not a computer wizard. How do you download something when your internet won't open??? I'm using my wife's computer to search for solutions. I hit the reset button on my internet trying to fix some things (as told) and now when i try to open it, it opens as you say, for a second and then gone. "So every time I click one of your links, it takes me to some movie downloader. Wtf?" => Hello, you must be clicking an ad banner instead of the actual download button. Those ads can be sneaky. Works for me. Thank YOU!!! Hey it is OK, if you are working on your computer and you wanna do. You can't guide your customer, user will run-away, thats its not working. Thank you so much. Windows 7 64bit IE9. AWESOME! I had tried everything or 2 days. MS fixes didn't work, but fix 3 did it. I can not thank you enough. I am so glad I found your article. I will be keeping track of your page for sure from now on. omg - i can't believe this worked! I have been trying all the fixes and regedits and tweaks for almost 2 week and nothing worked. 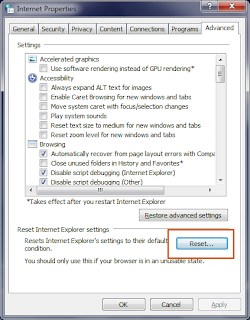 This fixed my IE and my lost explorer search button. Thanks sooo much! didnt work for me. IE9 64 bit. any more ideas? How do you extract the zip archive? I compledted the solution 3 download but don't know where to go from there. Hi! You're brilliant! This not only fixed my IE, but my Turbo Tax problems were obviously related, and now I can download tax forms again! Thank you! Worked for me, IE8 32-bit! Awesome download! #3 worked! Thanks! I have had major issues with installing chrome on xp. If it doesn't work this time, I will definitely be writing you! Thanks again! Option 3 worked great! Thanks for saving the day! only Solution 3 the ultimate fix worked for me -- when I uninstall / re-installed IE10 in wrong way, that even caused my IE8 totally disabled. I am running Window's 7 with a 64 bit operating system. How do I find out whether W7 is 32 bit or 64 bit and how do I find out whether IE is 32 bit or 64 bit? After a partner spent hours trying other fixes, I found yours and #3 did it! Keep the fixes coming! Thanks. Win7 64bit 32bit IE. I tried all 3 and I must be missing something with #3. I didn't get a file in Winzip, I got the iLivid Download, and the download failed from there. 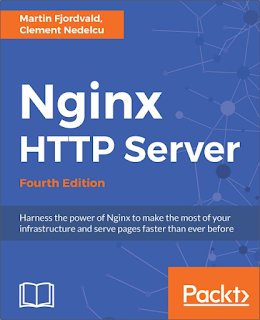 Did you leave some details out about how to actually download the script? Everything I click on leads to iLivid and nothing else! Help! Patricia: you must be clicking one of the ad banners, I assume. These can be sneaky. Look for the actual download button, haha. Clem, I know what the Download button looks like, and when I click on it I get iLivid. When I click on your link that says 'click here' it goes to iLivid. Everything that should take me to your script download takes me to iLivid download. Why is that? Holy Cow I finally figured out what to click on, got it downloaded and it looks like it worked! Thank you! Method 1 and 2 failed. Method 3 was just what the doctor ordered! Thanks! Is there an option 4? Windows 7, 64 bit system, 64 bit IE. GRRR. I can't run Quickbooks or Skype. Geek Squad couldn't even fix it using their online service. I was having a real issue trying to restore internet explorer and I was nearing the end of my rope when I found this site. I was able to folow the instructions and solve the problem. Thank you so much. You have been extremely helpful. Didn't work for me - but I suspect that my problem is caused by an MS update. I've tried uninstalling the update, but it gives an error message saying it can't uninstall some parts. It worked a treat. Fantastic, I have been trying to solve this for many many months. I was able to successfully launch the browser in my every other attempt. I guess I just have to be happy with that. I have WinXP (32 bits) and none of the three solutions worked separately. Then I did a combination starting with solution #3 and then disabling IExplorer as in solution #2. Finally, after restarting the computer I did a fresh installation of IExplorer 8 from an installer downloaded from Microsoft using a second computer and a USB stick (because the first computer had no browser yet). This combination did the trick. Thank you Clement! Options 1 & 2 never worked, so I've tried option 3. After trying all three scripts, my inernet explorer still doesn't work. I made sure I ran the .cmd files properly for each one and waited for the script to finish and 'press any key to continue', and still my internet explorer doesn't work. Awesome - really really thank you! I'd tried everything and I was sceptical and just a little afraid of running Option 3. IT WORKED! I went straight to step 3 to try the IE fix script first. I had some difficulty, as WinZip sux, never made sense to me, also instructions didn't account for the fact that you have to perform the download on another computer first to a portable media and upload to trouble computer, and the computer I was trying to fix was all in Russian (Cyrillic). I did the download to a CD, loaded it to the troubled computer, never had to perform an Extraction as the instructions indicate (just double-clicked the uploaded file), and it did not fix the issue. Then I went to step 1 and performed an IE Reset which appears to have fixed the issue. So maybe both the Reset and Script need to be performed to fix the issue? Or at least in some cases? Either way, your IE instructions got me the desired result. Thank you. Option three worked like a charm. Much Appreciated! The third one worked like a charm. Thanks! Thanks for this info. None of these appeared to work, but discovered what might have caused the problem. Apparently, IE was waiting for SuperAntiSpyware, which was waiting for Intel Rapid Storage Technology (RST) (which was set to delayed auto start under Services). After about 7 minutes, Intel RST started, SuperAntiSpyware started, and IE started. Option 3 worked like a charm. Took me a while to pick out the actual download vs. the ad banners, and I had to choose the manual download vs. the automatic one, but once I ran the actual script, I was back in business. Just uncheck Enable Protected mode under the security tab. 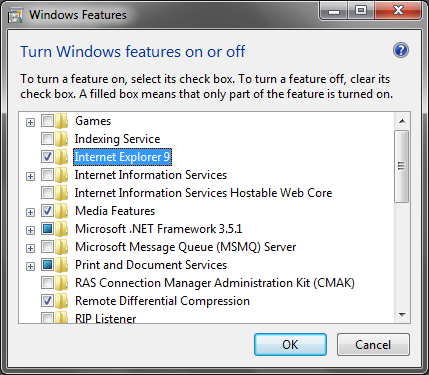 If you can't open the internet options because IE won't open, right click on the IE icon and run as administrator. Thank you option 3 worked instantly and I am not a computer whiz...to those who asked how do you download the file if you cannot open internet explorer is that you have to download it on another computer using a flash drive. Obviously you are on another computer if you are seeing this. Instead of running the file, click save and save it to your flash drive. Then all you have to do is click on it on your flash drive when you plug it into the non working computer and voila...Thank you again....I hope some really good things happen to you!! OMG! Still trying to get Option 3 to work, but there are so many add-ons that I cannot even get to it. Ugh! I am so appreciative for the options and explanation! Thank you for taking the time to do this for us. Option 3 worked for me too. My own IT people could not resolve the issue as you did!! THANK YOU Clement! Guys, I can't believe it. It finally worked for me (IE8 XP 32bit)after months of frustration. It finally worked for me (IE8 on XP 32 bit)after months of frustrating efforts while I was doing what Microsoft were suggesting. I tried all the options and they didn't work. For Solution 3, I downloaded it and then ran it but the file was named Tweakcube. Can you please help me? Thanks a lot for this solution. Because i was frustrated due to this problem. Thanks again!!!!!!!!!!!! I tried for hours, no luck. Found Clement's post. Used option 3. Problem resolved in 5 minutes. Resolved issue on IE11 (yes, eleven) using Win 7 32 bit. How long does it need to run ? It says Preparing Internet Explorer etc etc..
Unbelievable! I had tried everything without success until I found your page. Option 3 did the trick for me, and I very much appreciate your posting this topic. How to extract the zip archive? my antivirus doesn't like the filetrip website where I have to download this. Did anyone else have a similar issue? How do you download a fix if the internet flashes then shuts down immediately! I tried to dl chrome from a link on the ms help pages, but it would not stay up long enough to connect. It's funny, I can get on ms help online..but nothing else stays up. IE icon is dead, what's a mother to do? Thank you very much for the script, it works.great. Wow. After a nasty virus infection I had everything working again EXCEPT IE 8 on XP. The script did wonders! The little script worked for me tonight on IE 10. Thanks! Thanks, i had a strange problem where internet would work perfectly with Firefox with a proxy set but IE not at all in a business environement. The scripts seem to have sorted everything out. My advice: try anything but this script. Ran full antivirus scan. Ran rootkit scan. All OK. In desperation I decided to try "the script." Trying to download the script I got to a screen that forced me to accept a download for ilivid (?) or reboot. I rebooted - with only the usual windows startup stuff. Windows took a long, long time to start. So I ran chkdsk - it found a trashed filesystem - which I had it fix. Then windows ran, but IE still didn't run. I figured out a way around the "download my crapware or else" screen, downloaded the file, ran the script. IE still wouldn't work. Reboot - and all hell broke loose. Tried to use windows repair - it hung. Tried to reinstall windows from image - it hung. Finally used LINUX to repartition the drive. Then I was able to reinstall Windows. My advice: learn to live without IE, or find another fix. A friend gave ma a list of reg fixes - he said works. In all, only reformat and reinstall windows worked. Other than those problems, I had a good morning. 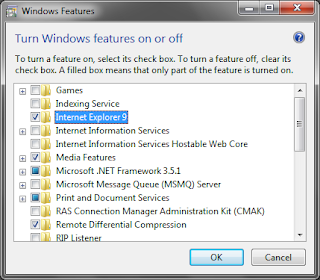 installs and registers (if suitable) all DLLs known to be used by IE8. May be an antivirus is bloking your script ? To the anonymous person who recommends not using the script: sorry about that, but you must have clicked an advert instead of the actual download link. Ads can be misleading, some companies (such as ilivid) trick people into clicking their banners instead of the real download buttons. thank you soo much ! I thought my laptop was damaged or something this really helps me ! Didn't quite work, thanks for the effort though, sounds like it worked for a lot of people. I am Really appretiate for this sollution maker . Boss really you saved my time and Sollution 3 is wonderfull . I wish you a good luck . Some wear some how you saved me to format the PC . Thanks. I tried many other fixes. Option 3 worked. Brilliant! Thanks a lot.Option 3 worked for me. Add me to the happy camper list! Thanks so much for the script! All three did not work for me. I can run 64 bit IE 9 but not 32 bit which I need. Hi!!! I know that many have thanked you but I couldn't stop myself thanking you once again. The last fix worked for me like magic!! Thank you sooooooo much for all your help. If is works so well why are you required to download the other junk. I'm sorry but I didn't just fall off the turnip truck. How do you download if exploxer won't come up? #1-Microsoft solution worked for me. It speeded up my internet, cleaned some stuff & blocks ads that used to come up. I tried the 3rd solution first, but I lost my key code & can't use the download app without the key so the link scanned my entire system, found 966 "problems" but could not clean them without the key. Had to "UNinstall" the software that scanned my computer to get the app window to go away. Whew. I use IE11 though. Any ideas? I know IE is the worst browser ever but I *have* to use it. Any ideas? I have been trying to fix the IE on Win7 and nothing worked so far. None of Microsoft suggestions worked for me. Only running the script "ie8-rereg.32on64.cmd" file woked for me! Finally script worked..Good Post..Really Helped me ..Thank You..
After 6 hours and all the tricks by Microsoft, the script did the work! Thank you for your post! It's invaluable!! I don't want all the other programs and things it requires I allow the program to install. I don't want all that stuff, just your fix. Why are you bundling all those things with it? I downloaded it, got after a couple tries I found the right button...little blind. But once I actually got it and started it up, it downloaded to about 95% and then it started installing a bunch of viruses! WTF? How are we going to download it if you rant using a web browser, I've been using my ipad,solution 3 can't be possible and should be removed..
None of these work, but point me to solution. None of these options worked for me. Time for me to find someone who actually knows what they are talking about. Some people may have trouble finding the real download script between the ads that look like downloads (I did, too). But it finally fixed Internet Explorer. Thank you! It worked for IE 11.. I tried Microsoft fixes.. but didn't work. Thank you! It worked for IE 11 !! Option 3! It worked for IE 11 !! AWESOME - Option 1 worked for me, now I have stooped using explorer and started using google chrome. Thank you!!! Awesome. This worked perfectly. Thanks a lot!!! Option 3 worked for me.. You are a life saver..
Option 3 works!!! Thank you!!! Nice It's worked for me resetting to Default. Our team member are fix all type error and complete solution of your problem. Go through this url. Step 3 worked perfect after the other option proved fruitless. THANKS! Domo arigatou for the Option 3, it didn't axactly fix what it supposedly does, but. Anyways, it Fixes my Google Chrome SSL Untrusted Connection problem somehow. But, still. Arigatou again. if you still face internet explorer related problems like internet explorer not working or other computer related problems just dial IE help number and get complete technical help and support: 1-855-212-2247 (toll free) number. How do I know if my IE or Windows is 32 or 64 bit? I confirmed that the script of solution nº 3 works for Internet Explorer 10 on Windows 7 64-bit. It was the only solution that worked out for me. Thank you for the links, OP! I believe this is the easiet way - if IE is 64-bits, it will be listed in Start>Programs more or less like this: "Internet Explorer (64 bits)"
If it's 32-bits, it will be just: "Internet Explorer". You can also open Windows Explorer and navigate to the IE folder. It might be on Program Files or Program Files (x86). Right click "iexplore.exe", then check properties>Details>File version. I use the PT-BR version of Windows, so I don't know for sure the name of the commands. Hope you can figure it out. Awesome Site!!!!!!!!!!! unique info and content !!!!!!!!!!! i like it !!!!!!!!!! Thanks for share!!!!! keep it up!!!!!!! visit more info!!!!! Skype Support !!!! and Call +1-800-231-4635 USA (Toll Free)!!!!!!!! OH THIS IS GREAT. Option 3 worked for me. Every problem I had with Windows have been fixed. THANK YOU! Turns out our problem was that my son installed a game which also installed Search Protect by Conduit. It hijacked both Chrome and IE. Not knowing that this was the problem I tried the first two of these solutions but Search Protect hijacked the resets without me being aware. I finally disabled Conduit's Search Protect by following Norton's step-by-step instructions and was then able to reset IE and it works like a charm now. I tried these and other methods without more than temporary success (worked once, then went back to flashing up and going away). Finally decided to test another Windows profile, which worked normally. Resolved by deleting the Windows profile and rebuilding it. thank you for the solution 3, it works perfectly. I tried all 3 options. I've been searching everywhere to get IE fixed to no avail. I'm using IE 11 which some people said Option 3 worked for, but it didn't do squat for me. Does anyone have any other options, specifically for IE 11? That's incredible!!! I've tried many solutions from other posts...but only your final solution worked!! thank you so sososo much! I'm having the same problem with IE but I'm using windows 8.1, would you recommend solution #3? Thank you. The 3d solution worked. Finally! Windows 7, Internet Explorer 11 - 3d solution worked for me. Thanks for coming and let me know that this post has worked on you :).. visit more info Windows live mail support also Call +1-800-231-4635 (Toll Free). Nice blog. This is very useful. visit us for windows troubleshooting. I can’t even blog on an iPad, much more on an iPhone. I love them, but nothing could replace a PC or laptop when I’m in the mood to write. You get that feeling when you’re actually typing on the keyboard rather than on a touch screen? It gives me the momentum to be more creative for what I write. You need to reset it. If it wont start, manually run inetcpl.cpl and do so. Then the options open. Reset it. Set the start page to a known good site, like www.msn.com. Thank you very much, this solved the problem instantly :) visit Windows live mail support also Call +1-800-231-4635 (Toll Free). I can't seem to get Skype to work on my iPhone either, though I've done all the updates. Skype Help Call Toll Free No +1-800-231-4635.